The C3 offers plenty of style and the most comfort of any car in the supermini class, Ford Fiesta and VW Polo included. 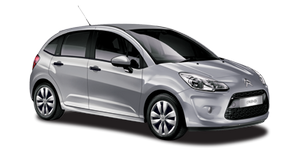 The C3 hatchback comes as a five-door only and all C3s except the basic version have a panoramic windscreen, which stretches back into the roof. The C3 doesn’t handle as well as the Fiesta, and rear seat space is tight, but the interior quality is a huge step up from the last C3. The Airdream+ diesel is especially economical, returning 74.3mpg, but the best mix of value and performance is had from C3 VTR+ with the 1.4-litre petrol engine.